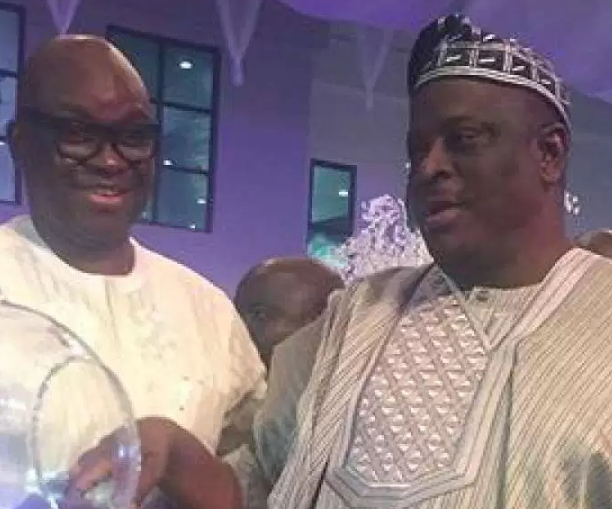 Buruji Kashamu has alleged that Governor Ayo Fayose and Senator Iyiola Omisore are planning to destroy the Peoples Democratic Party in South-West. He said both men were behind the crisis rocking the party in the zone, but said none of them has the capacity to drive him out of the former ruling party. The Senator representing Ogun East senatorial district in the Senate stated this in a statement he signed yesterday. He denied any plan to defect to another political party, just like some of those described as his political associates had moved to Mega Party of Nigeria. He said: “I wish to state without mincing words that the misleading report linking me with the move was concocted and spread on the social media by one Lere Olayinka who is a well-known attack dog of Ekiti State Governor, Mr. Ayo Fayose. “While it is true that the 14-month leadership crisis that engulfed our party started as a result of Fayose and ex-Governor Olusegun Mimiko’s attempt to perpetrate impunity and cut short the tenure of elected party executives, I mediated between the two leaders, pointing out their virtues and mistakes as someone who has related with them over time. “I proposed a political solution to the leadership crisis. But when all that failed, they went the whole hog of the judicial system. “It is also on record that when the Supreme Court gave its judgment, I congratulated the National Chairman, Senator Makarfi, and other members of the National Caretaker Committee (NCC) on the verdict, and urged all aggrieved party members to unite and work with them in the overall interest of our party. “Fayose and ex-PDP governorship candidate in Osun State, Senator Iyiola Omisore, then got their illegal puppets, Sikirulai Ogundele and Bayo Faforiji, into the NEC meeting until they (including Omisore) were sent out by the National Chairman, Senator Ahmed Makarfi, upon the observation raised by a member of the Board of Trustees, Alhaji Shuaibu Oyedokun. “These men never took part in state congresses held before the national leadership crisis broke out in May, 2016, but were handpicked by a member of the House of Representatives from Ogun State, Hon. Oladipupo Adebutu and Omisore, both of whom are nursing governorship ambitions. “But as for me, Fayose and Omisore cannot push me out of the PDP. They do not have what it takes. I am not going anywhere. He said he had commenced discussions with some of the PDP members who, out of annoyance, decided to join another political platform to prove their worth.